Date: Wednesday, 26th March 1968. Venue: Ibrox Park, Glasgow, Scotland. Competition: Inter-Cities Fairs Fourth Round, First Leg. 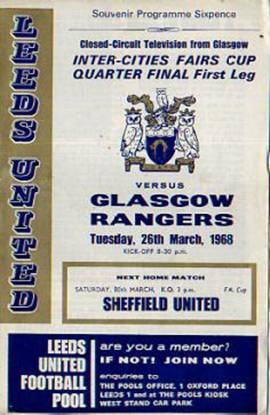 Score: Glasgow Rangers 0 Leeds United 0. Scorers: Glasgow Rangers: Nil. Leeds United: Nil. 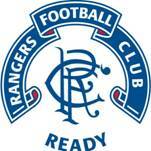 Glasgow Rangers: Sorensen; Johansen, Mathieson; Greig, McKinnon, D.Smith; Henderson, A.Smith, Ferguson, Johnston, Persson. 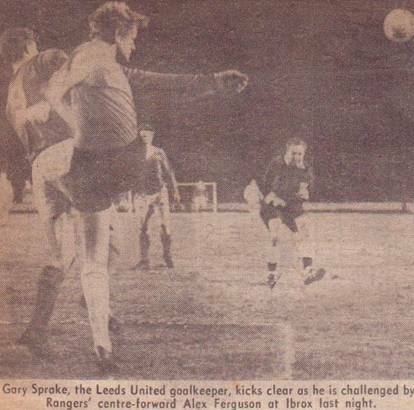 Leeds United: Sprake; Reaney, Cooper; Bremner, Charlton, Hunter; Greenhoff (Belfitt), Lorimer, Jones, Giles, Madeley. 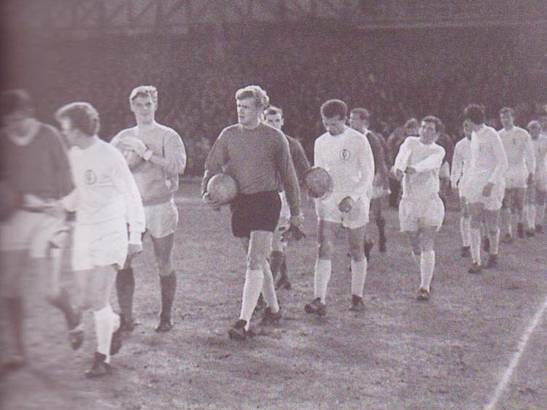 Glasgow Rangers had had more European Competition experience than any other British team, but still hadn’t won any of the top European trophies, and United were sure not to let themselves be the victims of the Rangers assault on the Inter-Cities Fairs Cup to rectify their inadequacies. Both sides went into the tie at the peak of their form and treated the match as a Cup Final. 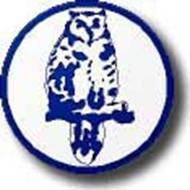 Leeds flew up to Scotland and stayed at the Kilmalcolm Hydro in Renfrewshire, a base recommended by a former Leeds player Eric Smith, who was coach at Morton. Rangers set up camp at Largs on the Ayrshire coast immediately after their 3-1 win at Hibernian, their twenty-seventh game unbeaten in the Scoittish League, had cemented their place at the top of the table. 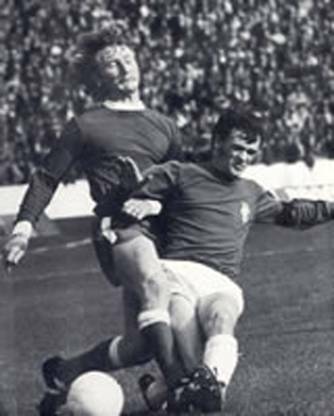 On the same day United had moved to the top of the Football League after beating Manchester City 2-0 with goals from Jack Charlton and Johnny Giles, so the tussle at Ibrox was a clash of the two top teams in Britain. 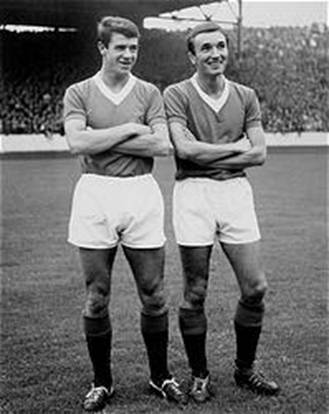 Fresh from their League Cup Final victory over Arsenal at Wembley Stadium three weeks earlier United made the trek north knowing they would face a wall of sound and an intimidating atmosphere in the Ibrox Stadium. 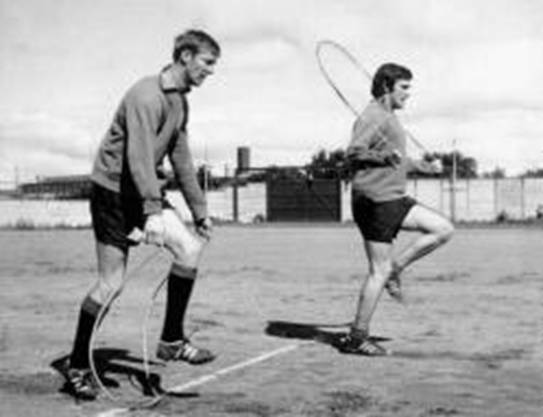 They were not disappointed as 80,000 turned up to roar the Blues to victory over the southern imposters, but it was estimated that only about a thousand United fans made the trip. 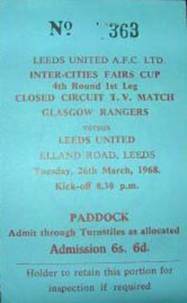 The game was beamed back live by closed circuit television direct to Elland Road for the Leeds supporters, with a crowd limit of 38,000, but an estimated 22,000 took advantage of the innovation, and the Rangers supporters flocked to Ibrox for what they knew would be a pulsating struggle. It was indeed a titanic tussle, but there were no goals to cheer, for either side. It was wet and windy, the crowd was fiercely parochial, almost all of them chanting “We will follow Rangers!” United were playing their fifty-second game of the season, but still giving the same enthusiasm as if it was their first. Rangers just could not pierce the Leeds defence, which put on a splendid ‘they shall not pass’ performance, and it was the Whites that left Ibrox the more satisfied, knowing there was nothing in it and with a home game still to come. They braved the adverse weather conditions, steeling themselves against the wind, rain and treacherous conditions. 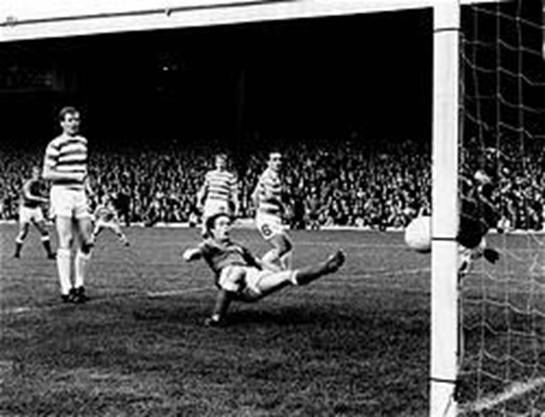 And, apart from defending resolutely, they showed Rangers that they had plenty to offer in attack too, so the Scots were well warned of what was in store for them in the return leg. 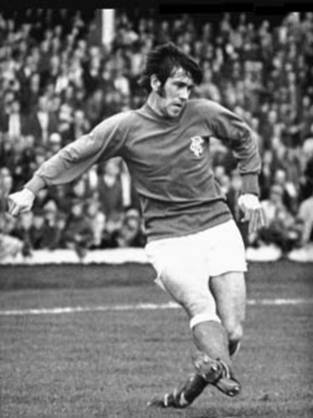 Key to the match was the tight marking of the flying Willie Henderson by Terry Cooper. 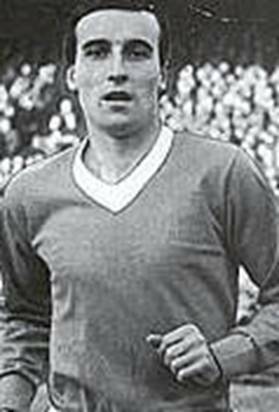 It was Cooper’s goal that had woin Leeds the League Cup at Wembley, but it was his defensive qualities which were on show at Ibrox. 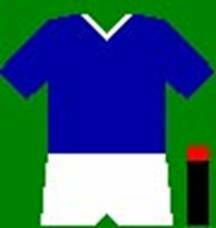 Big Jack Charlton was also superb, winning everything in the air, but it was his miskick on a surface saddened by nine hours of Glasgow rain, which presented Rangers with a rare chance, but Willie Henderson and Alex Smith were so surprised that Paul Reaney was able to nip in and snuff out the danger. 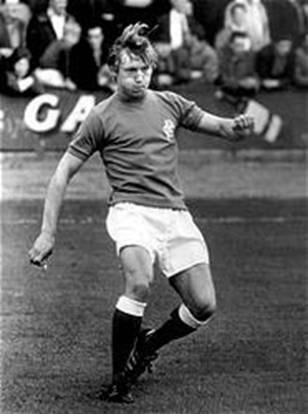 Willie Johnston then rapped a shot against Gary Sprake’s legs from only six yards, but that was all Rangers could muster against a superb Leeds defence. 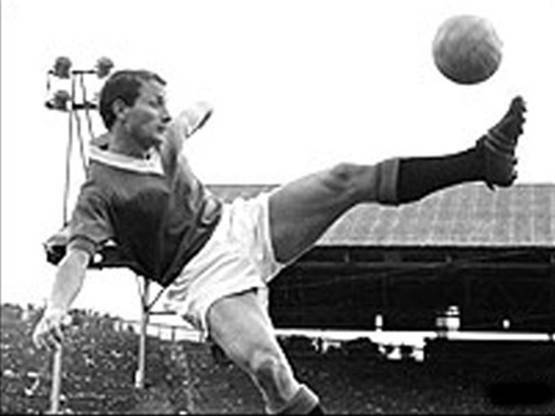 United almost pinched victory near the end when Rod Belfitt, who had come on for ankle strain victim Jimmy Greenhoff after only three minutes, forced Danish goalkeeper Erik Sorensen into a fine save. 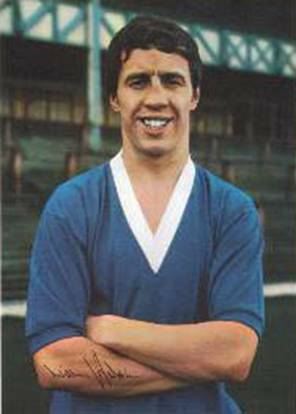 There was little doubt that the draw ranked high on United’s list of European achievements and YEP reporter, Phil Brown, commented, “United struck one of the heaviest blows that Scotland’s football pride has had to take for many a year at Ibrox. 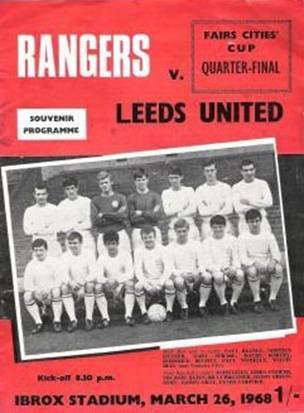 They (United) had already played a long season, but they sailed through the game as if it was in September.” United Captain Billy Bremner was in no doubt about the value of the result, “Just wonderful. As good as a win,” was his verdict.